A recipe for creamy vanilla ice cream – thanks Jamie Oliver! When it comes to treats I have a huge soft spot for ice cream. I choose it almost every time over other desserts. My problem is one of portion size – I usually buy a tub and (not content with a couple of scoops) have been known to eat the whole tub in one sitting. Nowadays I’m very conscious of the sugar content and this has led me towards plain vanilla ice cream – as it tends to have up to half the sugar of other flavours. So last week, flicking through my new Jamie Oliver Comfort Food cookbook imagine how happy I was to see a recipe for vanilla ice cream that can be made purely by hand. The only downside is the added sugar – which led me to experiment with Jamie’s recipe to create a creamy yet sugar free vanilla ice cream. Note that this recipe makes around one litre of ice cream and unless you have an ice cream churner you’ll need to be at home for a few hours to manually set it. 1. Add the milk, cream and vanilla essence to a pan and heat very slowly on a low heat for 15 minutes. If you’re using vanilla pods then remove the seeds and add the seeds and pods to the pan to heat. 2. 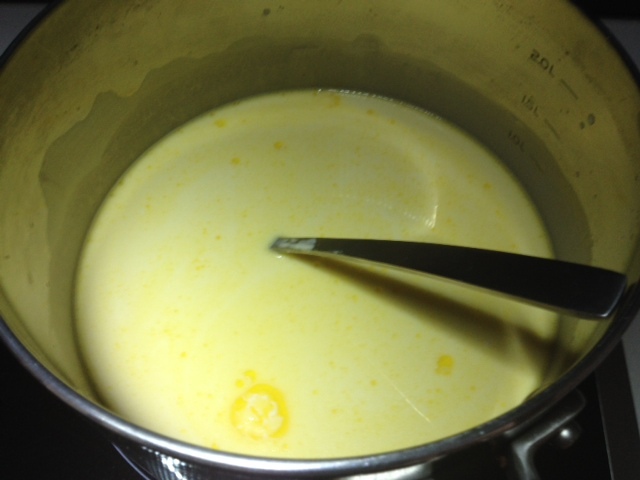 Whisk the egg yolks with the natural sweetener in a large bowl until they are pale. I did this by hand and it took a good few minutes of whisking to achieve the pale colour. 3. 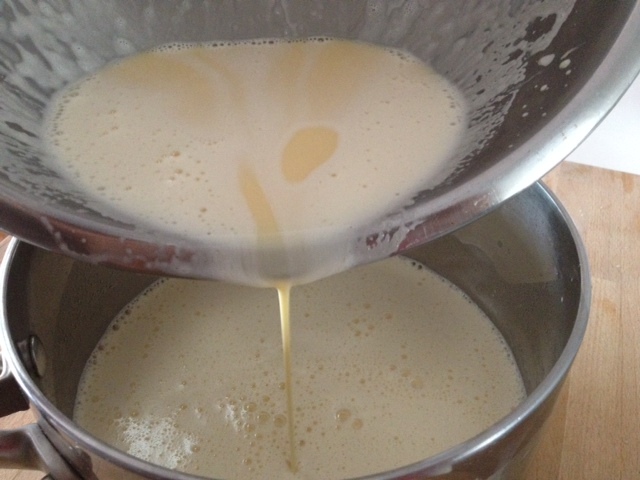 Whilst continuing to whisk constantly slowly pour in the warm milk mixture. If you’ve used vanilla pods then pour in the mixture through a sieve and push through the seeds. 4. 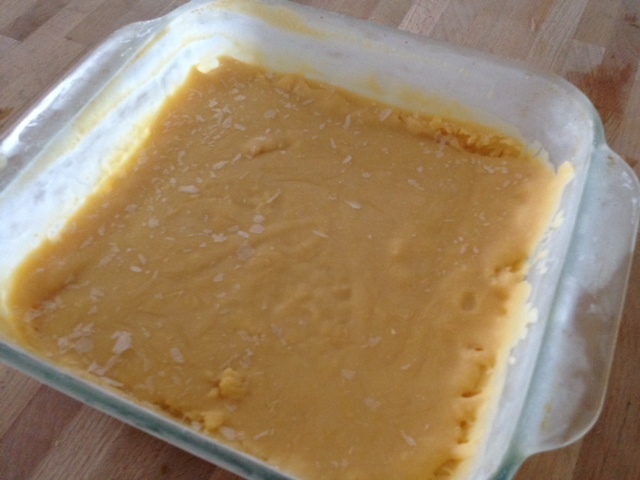 Transfer what Jamie calls the ‘custard mixture’ to a pan and heat on a low heat stirring constantly. 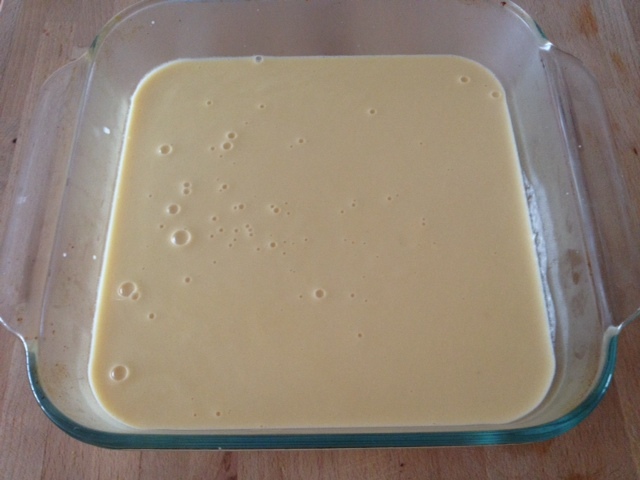 It should take up to 15 minutes for the consistency of the mixture to thicken – so be patient. 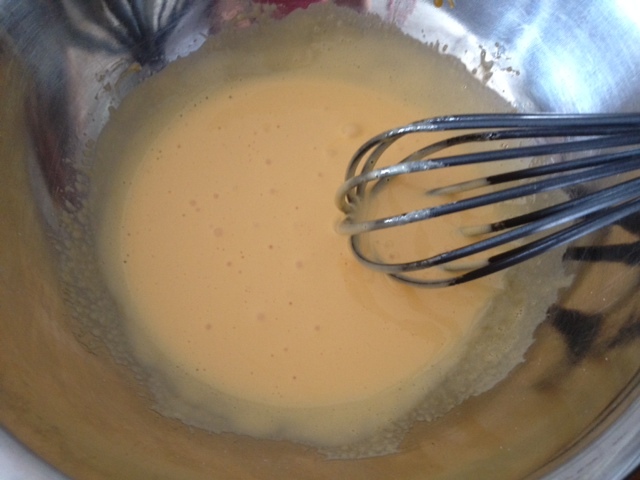 Once the mixture has thickened remove from the heat to cool. 5. What you do next depends on whether you have an ice cream churner. If you do then lucky you – simply pour in the cooled mixture and churn until you have a light ice cream. But if like me you’re working by hand then pour the mixture into a freezer proof container. I used a Pyrex dish. Place the container in the freezer with a lid on. Then every 30 minutes for the next 3-4 hours you’ll need to whisk the mixture by hand using a fork. The purpose of this is to prevent ice crystals forming. You’ll see from my finished ice cream that a few ice crystals did form on the surface. That’s because I only churned every 30 minutes for 2-3 hours – so the lesson learnt for next time is to be patient and continue the churning for longer as per Jamie’s instructions! The flavour? Even better than I expected – it really did taste as good as premium vanilla ice creams I usually pay for. And such a bonus that it doesn’t come with the added sugar. Experiment with flavours whilst keeping it sugar free. You could easily roast some hazelnuts or macadamias and add them to the mixture. Or stir through some big chunks of dark chocolate. Don’t try and make a skinny low fat version using skimmed milk – it won’t taste half as good. Tags: ice cream, no sugar, recipe, sugar free, vanilla. Bookmark the permalink. Yes it is – and super easy so give it a go…. Thanks Vanessa – love your post and your ice cream looks fantastic too! I like your idea of cutting the sugar. Have you any experience with adding honey or maple syrup as sweetener? Hi the thing is that honey and maple syrup, like sugar, still contain fructose and so aren’t necessary healthier substitutes. I’ve tried stevia and that works well…. I have no issue with fructose, just want to stay away from processed sugars and prefer honey and maple syrup to stevia. I just might try the recipe with on of those sweeteners. Thank you for responding!